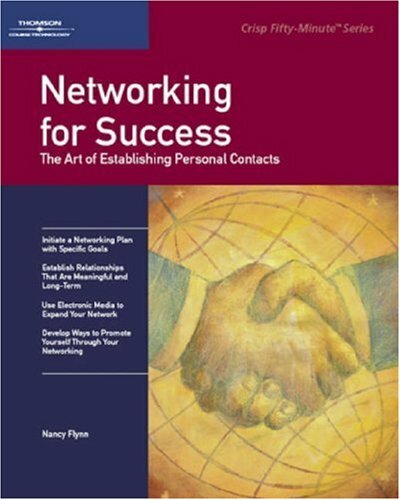 The author of Writing Effective E-Mail (in its third edition and published in English, German, Chinese, and Spanish) Nancy Flynn literally wrote the book on how to write powerful and persuasive e-mail. The founder of our sister company, the world-renown ePolicy Institute, Nancy Flynn is internationally recognized as a leading expert on the creation of well-written, legally compliant e-mail. Why concern yourself with writing effective e-mail? Every message you send is a reflection of your professionalism and your organization's credibility. In the battle for the reader's attention, thoughtfully written, carefully worded e-mail that is on-target and free from mechanical errors is sure to come out on top. E-mail that is ill-conceived or badly written can cost your organization business and stall your career. Messages that are filled with grammar goofs, spelling slip-ups, and punctuation problems can turn off readers and call your communication skills and professionalism into question. Tone-deaf e-mail that is offensive, hostile, or otherwise inappropriate can trigger employment terminations, workplace lawsuits, negative publicity, and other disasters. Messages that expose company secrets, customers' private data, or other eyes-only content can lead to costly and time-consuming regulatory investigations and litigation. The easiest way to control e-mail risk is to control written content. This course teaches participants how to write effective e-mail-without getting fired, sued, or publicly humiliated. Participants learn how to write effective e-mail messages and other forms of electronic content, including social media posts and text messages. Gain an understanding of e-mail/online risks and best practices. Review content, usage, and compliance. Discuss the importance of netiquette, or electronic etiquette. Discuss and learn from real-life e-mail, web, and social media disaster stories. Discuss e-mail/online risks including litigation, regulatory violations, business record mismanagement, employee terminations, security breaches, lost productivity, negative publicity, and damaged professional reputations. Review tricks and techniques to ensure that e-mail and other online content is read and acted upon, not ignored and deleted. View our e-mail-related articles in The New York Times, The Wall Street, USA Today, Fortune, Time, and other national publications. "Really hits the mark. We're going back for more." "Writing Effective E-Mail is a must-read for everyone who sends and receives e-mail in a business setting. Presented in a no-nonsense efficient style. Take this quick course to e-mail success." -Business Librarians at the Carnegie Library, Pittsburgh Post-Gazette. View our E-Mail Rules brochure. Published in August 2014, Nancy Flynn's Writing Effective E-Mail, 3rd Edition, has been completely updated with new content & exercises. Bonus: Sample e-mail, mobile device, and writing style policies that you can implement immediately. Buy now.